The famous boat that sailed toward the Marshall Islands in 1958 to stop nuclear bomb tests, and that inspired the start of Greenpeace, is back in Seattle. 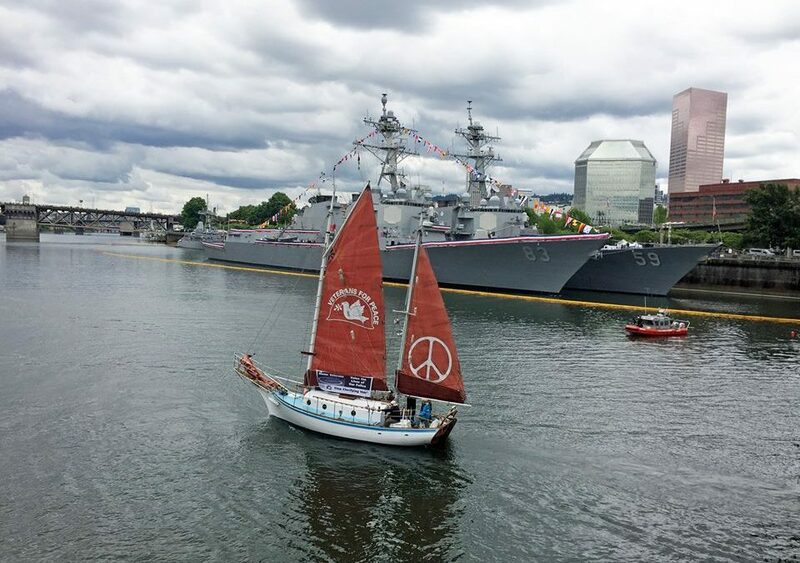 Food and no host bar from 5 – 6:30 p.m.
Celebration of the Golden Rule – Sailing for a Nuclear-Free World from 6:30 to 8 p.m. with music by Michael Stern and the Seattle Labor Chorus. The Golden Rule is a national project of Veterans for Peace.